Former professional wrestler Dwayne “The Rock” Johnson played action heroes, lifeguards, pilots and cops. Now Hollywood is crowning the massive star. In the new upcoming movie “The King” ex-wrestler Dwayne Johnson plays the role of legendary ruler Kamehameha, who is said to be the first Hawaii King in the 18th century, for the Warner Bros studio. Robert Zemeckis (66/ “Forest Gump”) is the director, and the script of the movie was written by Braveheart author Randall Wallace. reported by “Hollywood Reporter” on Wednesday. There are many lagends around Kamehameha (1758 – 1819), in some say that in some military drills he managed to unite the Pacific Islands. 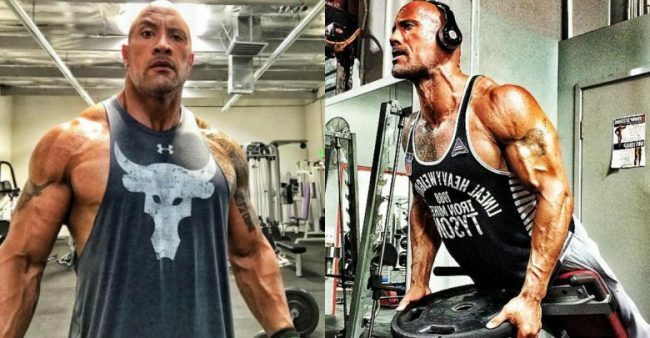 Johnson, who has recently starred in “Skyscraper,” “Rampage,” and “Jumanji: Welcome to the Jungle,” has Polynesian ancestry. The actor has long expressed a desire to pay tribute to his ancestry with a film about Kamehameha I. “The King” is scheduled to be shot in 2020.